A one woman percussive dance show. 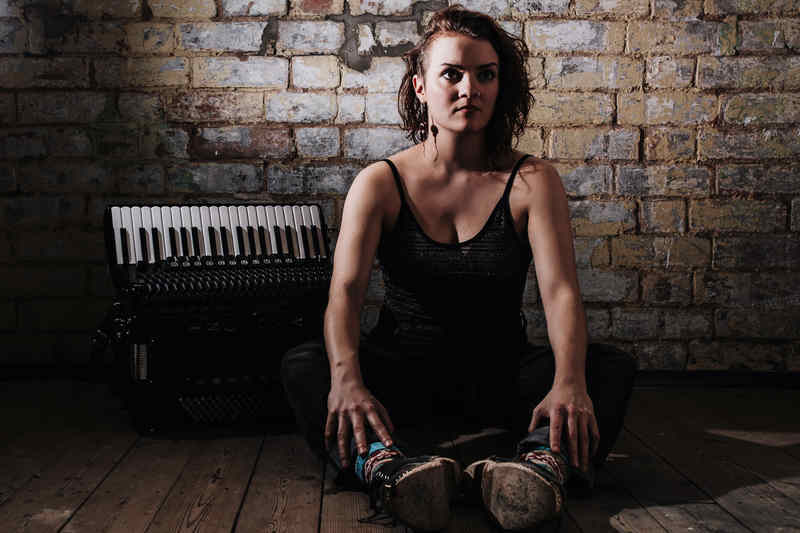 From accordionist, singer and clog dancer, Hannah James This innovative show reinvents the notion of solo performance by combining all James’ disciplines simultaneously for an immersive, unforgettable song and dance experience. Utilising cutting-edge looping technology with vocal, accordion and composition skill, a multi-layered soundscape was woven onstage, providing the backdrop for James’ spellbinding fusion of traditional and wholly original dance.